I like to cook with applesauce every once in a while but don't always have it on hand. I have an overload of apples right now from our orchard visit (more on that later) so I decided to make my own this time. 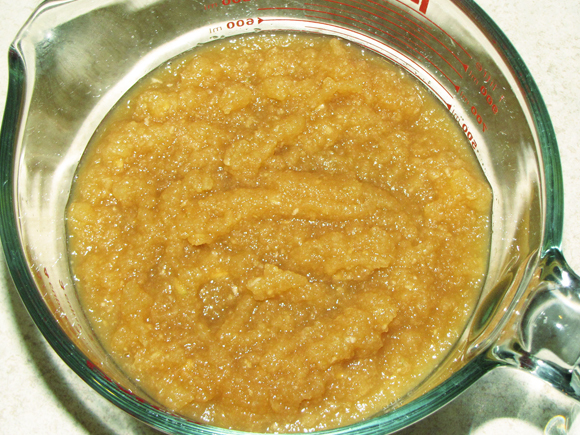 Now, I usually make my applesauce for eating, but it's a different consistency than the store-bought types. The jars you find at the store are nice and smooth, while I keep mine chunky. While both taste good, one is much better for cooking! As a healthier alternative, applesauce is usually used as a substitute for oil in baking - and that's what I was going to use it for this time. My normal sauce wasn't going to cut it because of the texture and consistency so I improvised. 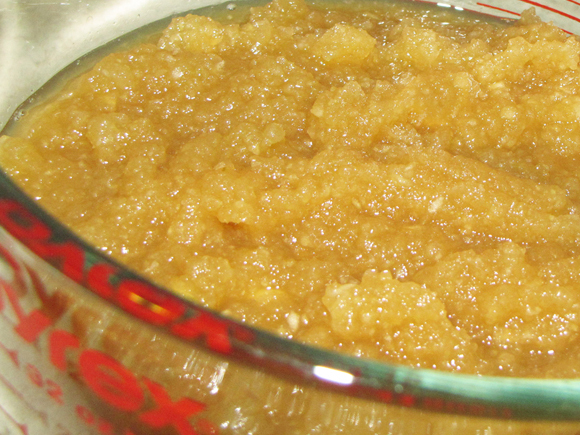 I took a few apples and pureed them raw to see how it worked. It turned out just as well as the store-bought kind so I think I might make up a few batches and see how it freezes. 1. Chop the apples and puree them until you get a nice, smooth texture similar to the store-bought kind.